This mantel clock features a wide polished chrome bezel which is 7.25" in diameter, chrome posts and chrome metal bottom base, and a Driftwood finished veneer wood base. 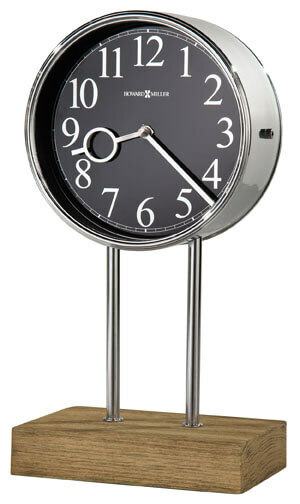 The large, stationary black dial features chrome-finished Arabic numerals with chrome-finished hour and minute hands. You will save $81.60 (30 %) on this Howard Miller Baxford 635-179.